Summer is all about BBQ’s and potlucks where we get together with family and friends. And of course a big part of these get-togethers is the food that is served there! Today I wanted to share one of my favorite fruity summer drinks – this makes enough to hydrate a large crowd, but can literally be thrown together in a matter of minutes! I make an alcohol-free version since most of my parties involve kids, but you can add whatever you want to make it your own. The party punch comes together in a matter of minutes! 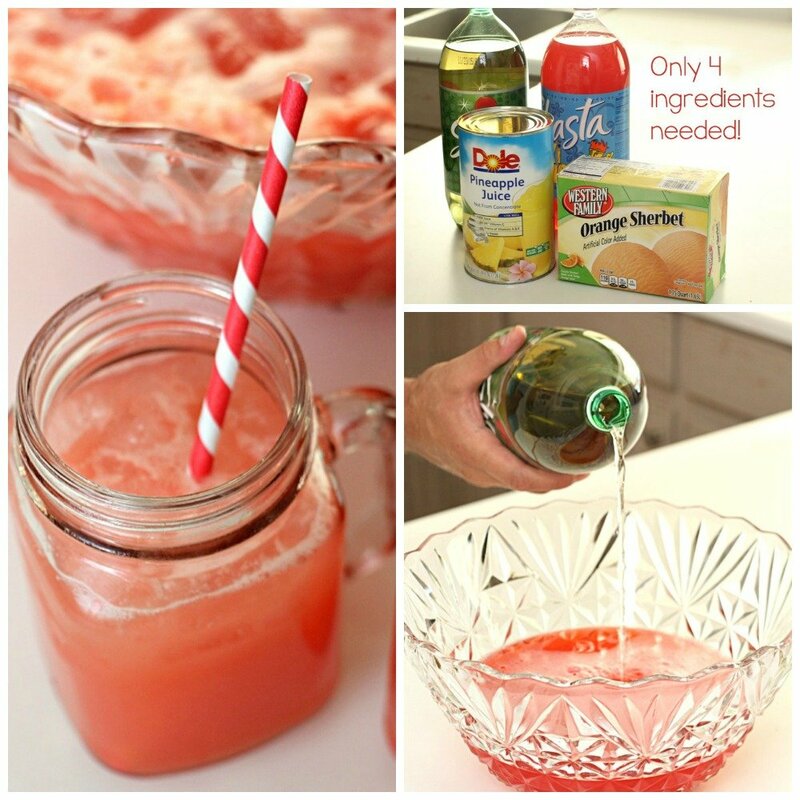 Using a large punch bowl (or other large bowl), mix together the fruit punch, ginger ale, and pineapple juice. Add scoops of sherbet into the punch bowl using an ice cream scoop. After just a couple of minutes, the sherbet will start to melt. Using a large spoon or whisk, mix until the sherbet is completely incorporated into the liquid. Add some ice and serve! Makes 40-50 servings (depending on the size of cup used).